Scott passed on 21/4/15 with Mitchell Gosling! Well done! 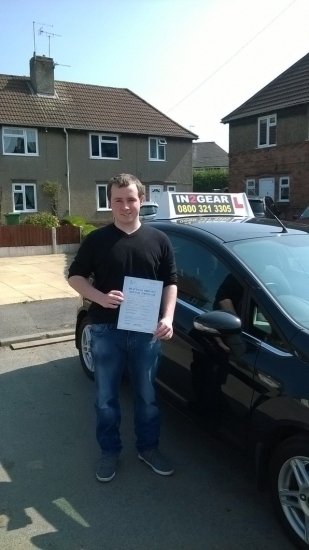 Scott says "Great driving school, my instructor Mitchell was really helpful. He was patient and calm if I made I mistake and turned what I thought would be a difficult experience into something quite pleasant and easy. Over a four month period I went from knowing nothing about driving to being confident when taking my practical. I would highly recommend to anybody".